Gov. Jay Nixon made the official announcement, telling the crowd that many of the items are specifically tied to the Show-Me State. 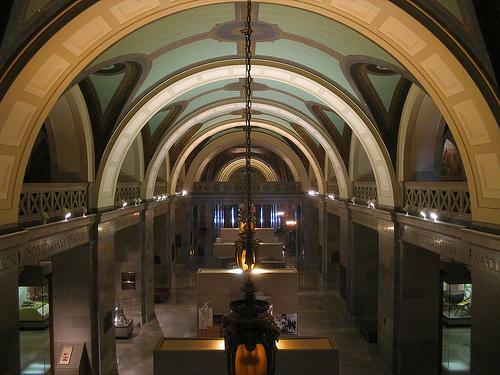 Freemasons from the Grand Lodge of Missouri and the M.W. Prince Hall Grand Lodge participate in the ceremony recognizing the 100th anniversary of the laying of the Missouri Capitol's cornerstone. "There will be a packet of non-GMO Missouri heirloom seeds, (and) a piece of Missouri coal," Nixon said. "There will be a photo from the aftermath of one of the worst natural disasters to hit our nation, the Joplin tornado, so we can demonstrate the perseverance of the people of our great state." Nixon had earlier asked Missouri residents to submit ideas for the new time capsule through the state's official website or via social media. "Some items will show the technology that is advanced for our time, such as the latest iPhone, which will be included in the time capsule," Nixon said, "although the iPhone may be to Missourians in 2115 what a pocket watch is to us today." A copy of the Missouri Manual, a.k.a., "Missouri Blue Book"
The obituary of Frank Buckles, who, at the time of his death, was the last surviving American veteran from World War One. 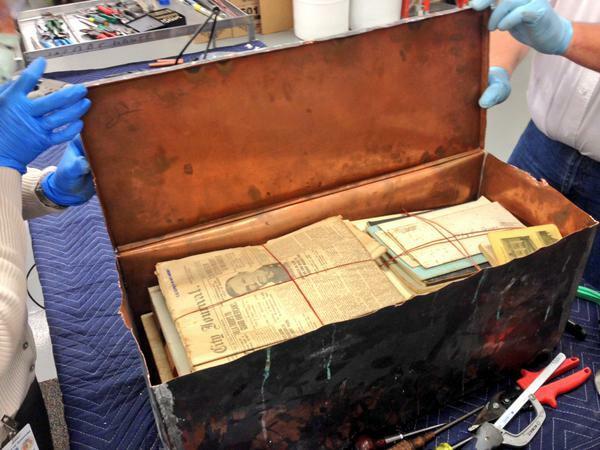 The new time capsule will be sealed and buried at a later date, and is to remain buried until the year 2115. Gov. 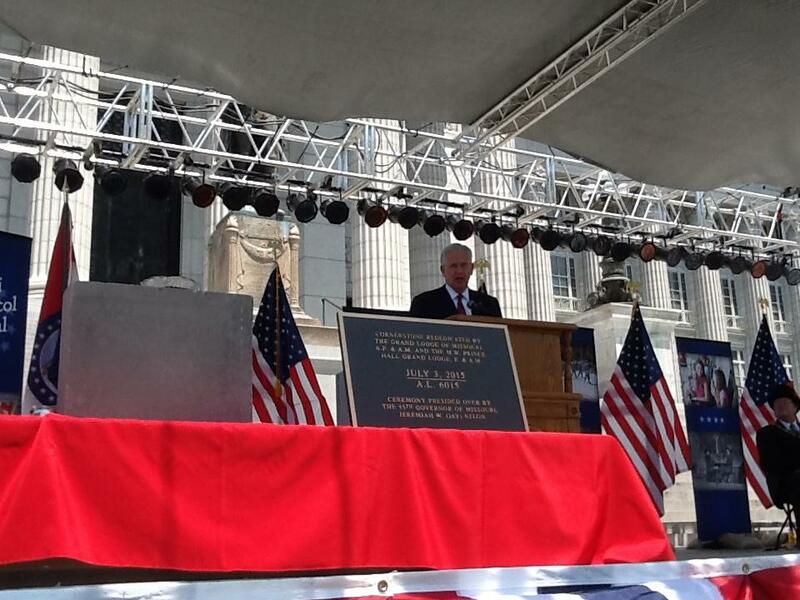 Jay Nixon speaks at a ceremony for the 100th anniversary of the Capitol cornerstone, and announces the contents of the new time capsule to be sealed until 2115. 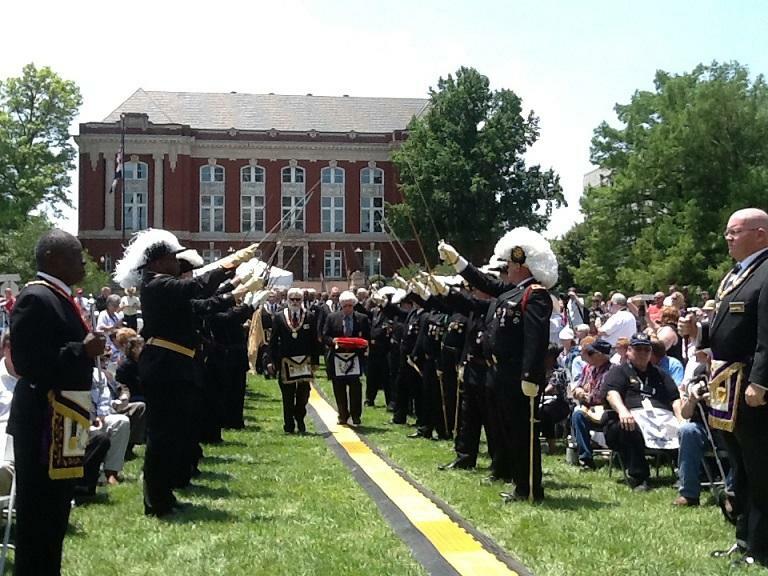 The cornerstone ceremony was conducted by Freemasons from the Grand Lodge of Missouri and the M.W. Prince Hall Grand Lodge. Prince Hall, an African-American Masonic lodge, was barred from taking part in the original cornerstone ceremony in 1915. "I'm glad the progress we have made in (the past) hundred years has helped begin to right that wrong," Nixon said.